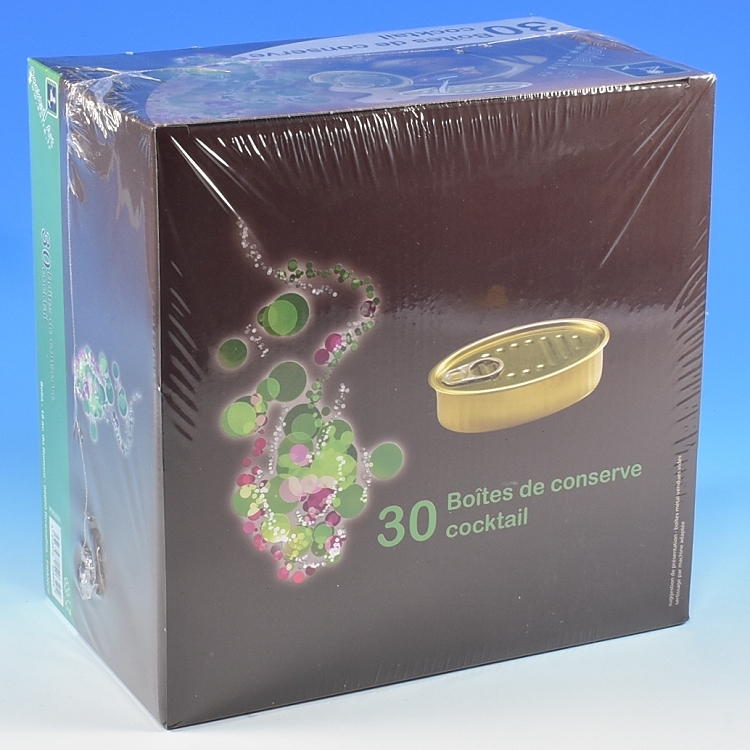 Cocktail Oval Tin Can, these beautiful containers add a touch of class to any event. Create spectacular desserts for any restaurant, party, weddings, catering events and banquets. Made of aluminum. Lid is separate, but can be joined together and crimped onto the can, it then can be opened with the traditional pull tab.